Announced earlier this morning on Good Morning America, ‘Hand in Hand: A Benefit for Hurricane Harvey Relief has been set to aid those affected by Hurricane Harvey on Tuesday, Sept. 12. 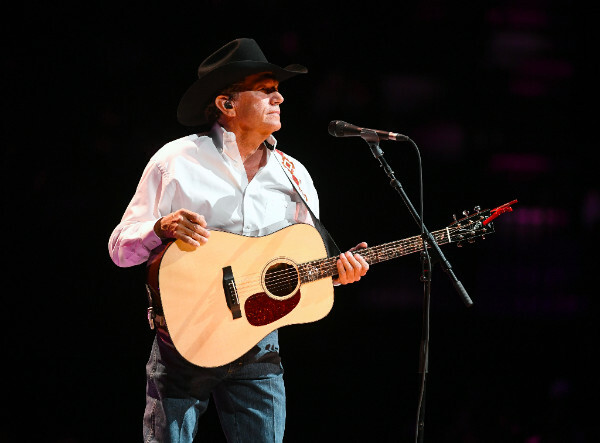 The one-hour special will feature celebrity participants and performances including songs from Country Music icon and Texas native George Strait, live from his benefit concert at San Antonio’s Majestic Theatre. Joining him includes 6-time CMA Female Vocalist of the Year Miranda Lambert, reigning CMA Male Vocalist of the Year Chris Stapleton, 4x GRAMMY Award winner Lyle Lovett and Texas Heritage Songwriter Hall of Fame member Robert Earl Keen. Select performances from Majestic Theatre will air on ABC, CBS, CMT, Fox and NBC on Tuesday, Sept. 12 at 8 p.m. EST on the East Coast and replay on the West Coast at 8 p.m. PST. The telethon broadcast as well as Strait’s Hand in Hand Texas show will also be available internationally via live stream on Facebook. Strait, a Country Music Hall of Fame member, pledged to lead the country music world with this concert serving as the start of his ongoing relief efforts, with all proceeds from the show benefiting Rebuild Texas Fund thanks to event sponsor Cavender Auto Family and with assistance from the Majestic Theatre, Ticketmaster, VER, Bill Young Productions and the City of San Antonio. Tickets to Strait’s Hand in Hand Texas show at Majestic Theatre will go on sale Wednesday, Sept. 6, 2017 at 10 a.m. CST at Ticketmaster.com. IT SOLD OUT IN LESS THAN AN HOUR. Proceeds from the one-hour telethon will benefit United Way of Greater Houston, Habitat for Humanity, Save the Children, Direct Relief, Feeding Texas, The Mayor’s Fund for Hurricane Harvey Relief (administered by the Greater Houston Community Fund) and RebuildTx.org through the Hand in Hand Hurricane Harvey Relief Fund managed by Comic Relief Inc. Phone lines, text messaging, and digital donations will be open at the beginning of the show and will conclude one-hour after the show ends. For more information, updates and a link to donate, please visit handinhand2017.com.